The desert swarms on the brink of a holy war as the people struggle against the unstoppable force of the Roman Empire, waiting for the day a messiah, a supreme profit will arrive to protect them, unite them, and deliver them to salvation, both on earth and in the afterlife. Martin Scorsese arrives, determined to deliver this hero of the people in this narrative of the formative years of one of our planet’s most prominent religions. What sets this film apart – the story of Jesus Christ leaving Nazareth to collect his apostles and ultimately begin the chain of events that will lead to his crucifixion – is that it presents itself as a narrative instead of a gospel. The ultimate purpose of this film is not to preach a sermon in the name of Jesus Christ or the god he represents, but rather to portray an intriguing presentation of one of the world’s most known prophets. With this separation of story from sermon, the narrative of the film is opened to a nearly unlimited potential audience pool. Of all the film adaptations of the biblical narrative, never before has it seemed more like a story than a sermon than it does in Scorsese’s film. 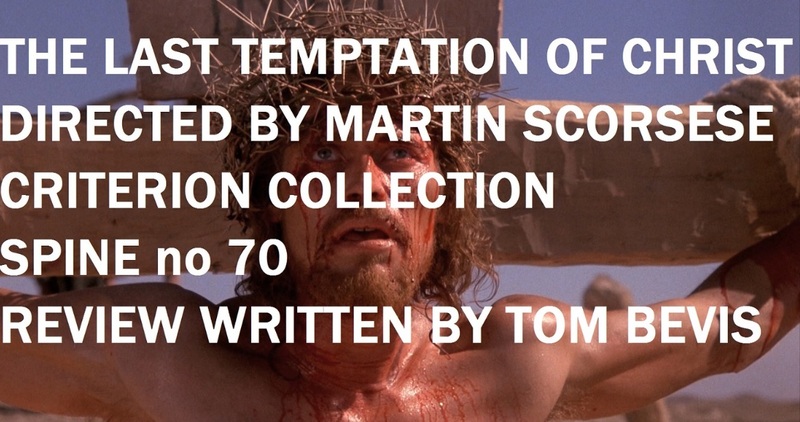 With the freedom the liberation of the strict interpretation, Scorsese and screenwriter Paul Schrader are able to craft a new presentation of Jesus Christ. In this film, we see a flawed and frightened young man, struggling to understand his purpose in the grand scheme of existence and, once the details of his purpose are presented, his struggle to accept the destiny that has been laid out to him. While this vision of Jesus Christ can be controversial and infuriating to fundamentalists, it is refreshing and somewhat sobering to see the messiah presented as something more human than god. To believers, such a portrayal ought to be inspirational: even the central figure of your religion struggled with the everyday aspects of faith in the face of a myriad of temptations. To nonbelievers, this creates a character with more depth than the traditionally portrayed all-seeing and almighty Jesus. This adjustment immediately makes the character more relatable and realistic as the protagonist of a narrative. Willem Dafoe tackles the role of this impressionable and fearful messiah with nothing but tact and grace. His performance is utterly reliable and believable, from intense scenes of duress and terror to the blissful awareness of divine revelation. Dafoe emotes his lines with neither pride nor hubris, allowing his presence to pain a canvas entirely becoming of the fledgling prophet we follow throughout the film. While Dafoe consistently hits his mark, though, the rest of the roles could have been cast by exactly anyone. Harvey Keitel, in particular, as tough-guy warrior priest Judas Iscariot is almost laughable in his snide-and-sneer approach to the betrayer. In this film, unlike much of Scorsese’s catalog, the director completely sheds every semblance of his own personal style like the skin of a tempting snake. In its place, he employs a system of rigorously researched historical accuracy, ranging from the scene setting, the costuming, and acceptable diction. The result is a near-perfect motion picture, tinged in the flavor of biblical accuracy. 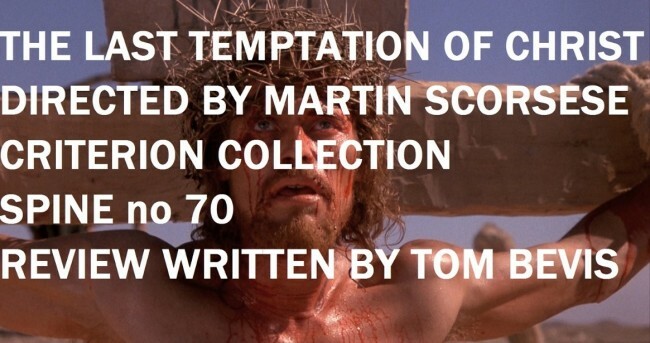 Despite this fact, The Last Temptation of Christ is also possibly the only instance in Scorsese’s catalog where he actively attempts to create art. Unlike most attempts to make art, though (which often turn out similar to Jackson Pollock-smeared turds), Scorsese manages to come out with his picture unscathed.